Once upon a time there was no such thing as social media, text messaging and Facebook. The rules of etiquette concerned letter writing, when to leave a calling card and how to behave at formal dances. 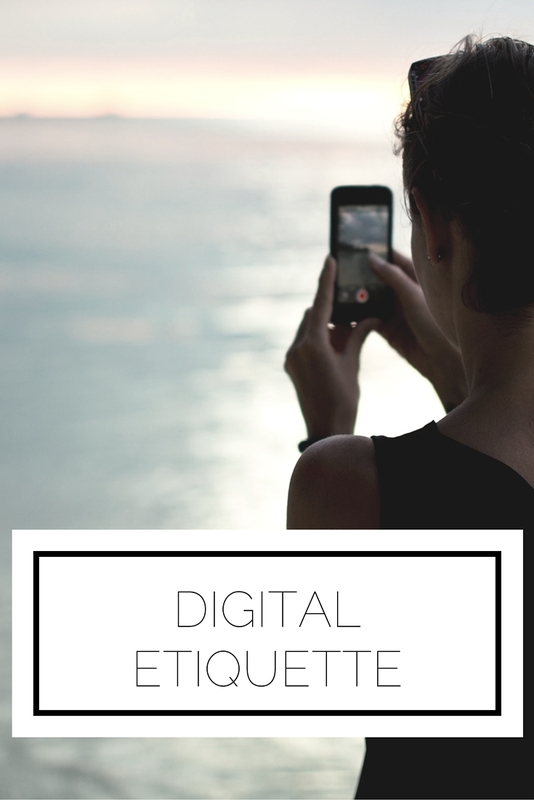 Now, however, we need new guidelines to help us navigate the digital world. There is so much that can be covered, but here are the top rules you should keep in mind for your online life. If you wouldn't say it in person, don't say it online. Just like your parents may have told you 'if you don't have anything nice to say, don't say anything at all,' you should not feel emboldened by the anonymous nature of the internet. Keep it positive and constructive. THERE IS NO NEED TO SHOUT!!!!!!! Or use multiple exclamation points. Caps lock is not your friend. Since the person or people on the other side can't hear the inflection of your voice or see the expression on your face it is best to keep your words lowercase and let one punctuation mark serve your purpose. Remember once you press send/submit/post, it is out there. An email can't be unsent and a post, even if deleted, can be seen and a screen shot can be taken. For these reasons be absolutely sure that you don't mind if your words or picture were to be seen by everyone you know. This article was originally published (by me!) on HerCampus TCNJ. Great points! Especially the first one. It is just as easy to be overly supportive and postive on the internet as it is to be cruel, but the anonymity tends to bring out the worst in people. I wish it was the opposite! Thank you so much Em! I wish it was the opposite too, but as long as we strive for the positive and encourage others to do the same we can make a change for the better. Great points! It's so important that we stay accountable for what we do on the internet in real life, and doing all these things helps us do that. Yes yes yes! There are so many people who think that because they don't name names, no one knows what or who they're talking about. If you wouldn't say it to their face, don't say it to the world on social media!